Bobby Jindal: Let’s Teach Them Creationism. 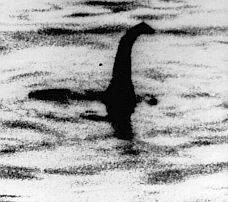 Today, Louisiana Governor Bobby Jindal finally admitted, for the very first time, that the controversial Louisiana Science Education Act, which he signed into law during his first year in office, was designed and intended to allow public schools the ability to teach creationism as legitimate scientific theory. Jindal attempted to dodge the question, pivoting to the importance of science education and ensuring Louisiana students were nationally and internationally competitive. “If you’re asking about what should be taught in private schools, in Catholic schools, in independent schools,” Jindal said, “I think parents can make the decisions about where they send their kids to school, about what kinds of values their kids are taught.” Of course, that wasn’t what Kotb was asking. Jindal: “We have what’s called the Science Education Act, that says if a teacher wants to supplement those materials, if the school board’s OK with that, if the State school board’s OK with that, they can supplement those materials. “Bottom line, at the end of the day, we want our kids to be exposed to the best facts. Let’s teach them about the Big Bang theory. Let’s teach them about evolution. Let’s teach them…. “I’ve got no problem if a school board, a local school board, says we want to teach our kids about creationism, that some people have these beliefs as well. “Let’s teach them about intelligent design. “I think teach them the best science. 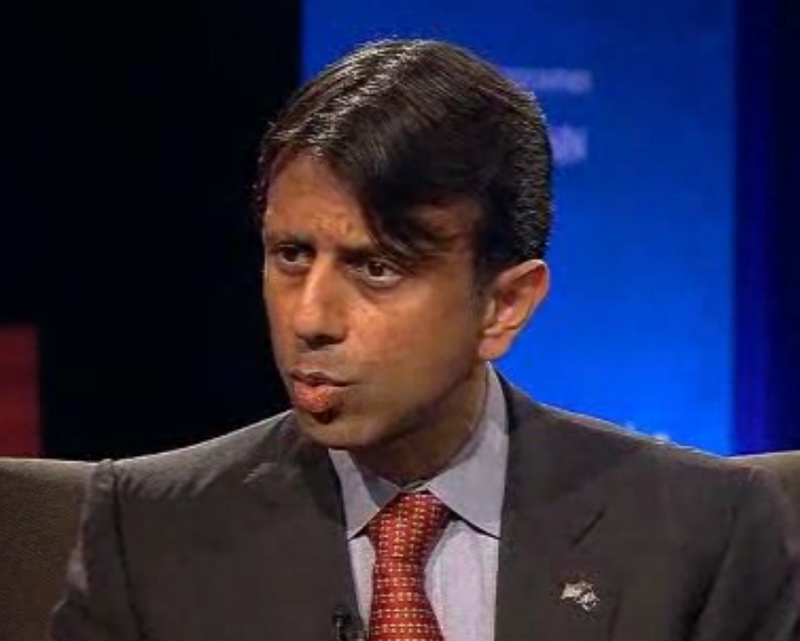 Jindal: “Climate change or these other issues. What are we scared of? “Let’s teach our kids the best facts and information that’s out there. Let’s teach them what people believe and let them debate and learn that. The problem with politicians like Bobby Jindal: Too often, their mouths work faster than their brains. In the span of only thirty seconds of frenetic blathering, Bobby Jindal unwittingly exposed the LSEA as an unconstitutional law respecting the establishment of religion. He took the bait- hook, line, and sinker. You see, the Louisiana Science Education Act relies on an elaborate legal trick. In its first incarnation as the Louisiana Education Freedom Act, the language was explicitly pro-creationist. In fact, its sponsor, State Senator Ben Nevers, said that the bill was about ensuring that “scientific data related to creationism be taught;” Senator Nevers even admitted that he filed the bill at t he request of the right-wing religious organization, the Louisiana Family Forum. But there was one major problem: The courts, including the United State Supreme Court, have repeatedly and consistently declared unconstitutional laws that mandate or encourage the teaching of creationism in public school science classrooms. State Senator Nevers and the Louisiana Family Forum, likely at the urging of the Discovery Institute, a Seattle-based creationist organization, had to drop any and all references to creationism if they wanted to stand any chance against a constitutional challenge. So, Senator Nevers refiled and renumbered the bill, and borrowing from the Discovery Institute’s model statute, he even included a cute provision about how the law could not establish religion, something, of course, that is already illegal. The truth is, of course, that the Louisiana Science Education Act is nothing more than a charade; its purpose and intentions are self-evident: The law has nothing to do with “critical thinking;” it’s about ensuring New Earth Creationists have the authority and the ability to indoctrinate public school children; it’s about equivocating a narrowly-held religious belief with empirically-based scientific theory. That’s why Jindal screwed up: He admitted it. Sure, it was an open secret, but there is a damn good reason that the law was rewritten and scrubbed of any mention of “creationism.” The Discovery Institute, as sneaky and pernicious as I may find them to be, is at least savvy enough to realize that creationism in the classroom is unconstitutional. Courts have consistently held that advocating creationism in public schools is unconstitutional. In this regard, this present author agrees with courts that there are certain core tenets of creationism—namely its adherence to supernatural or divine forces—which make it an unscientific and untestable religious viewpoint that cannot be constitutionally advocated in public schools. That having been said, there is a glaring asymmetry in the law when courts hold on the one hand that creationism cannot be advocated in public schools because it is not science, but on the other hand that it can be disparaged as “scientifically . . . nonsense,” also because it is not science. 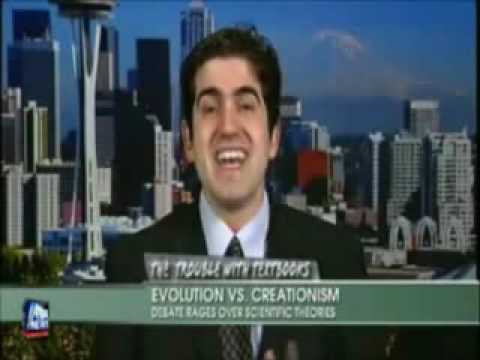 Luskin, like most of those employed by the Discovery Institute, claims that he is not a New Earth Creationist, but he argues that creationists should be allowed to have their cake and eat it too. Science teachers should present Christian creation mythology as “alternative” scientific theory, but if they dare to use the scientific method to “critique” creationism, they’re “inhibiting religion” and violating the First Amendment. Again, the Louisiana Science Education Act has nothing to do with “critical thinking;” it’s actually about protecting the sanctity of a fundamentally unscientific and definitively religious belief. With all due respect to those who believe in New Earth Creationism as an article of faith, if creationism is introduced in the science classroom and legitimately and thoroughly “critiqued,” it’s immediately invalidated and discarded. Obviously, that’s not what supporters of the LSEA intend. They’d rather their religion be introduced, uncritically, in order to poke holes in science, to reinforce, validate, and reassure the fundamentalist religious beliefs instilled in young, impressionable children by their fundamentalist religious parents, to stifle a meaningful discussion on things that challenge the validity of evangelical Protestantism. Bobby Jindal wasn’t supposed to say “creationism.” He was only supposed to say “intelligent design.” The constitutionality of the LSEA is constructed, after all, on semantic dishonesty– neologisms and code language. By even casually suggesting that the State of Louisiana should be teaching “creationism,” as provided under the LSEA, Jindal tears down his own rhetorical house of cards. “If there was a racist backlash against Jindal anywhere, it would be in north Louisiana, in Duke country,” Louisiana political analyst John Maginnis told Rod Dreher of National Review Online after the race. To some extent, Blanco laid the groundwork for a such a backlash herself. She dusted off her maiden name and campaigned as Kathleen Babineaux Blanco. Voters encountered the full name on the ballot, where her opponent was listed as “Bobby” Jindal, complete with quotation marks (Jindal’s given name is Piyush). Appealing to tribal instincts in the only state where Frenchness is still considered a virtue, Blanco’s packaging of herself was designed to make it clear who had the deeper roots in Cajun country. Such tapping of identity politics for ethnic whites is nothing particularly unusual or scandalous. The shamrock incorporated into Irish-American candidates’ names is a staple of local politics across much of the Midwest and Northeast. It would be unfair to suggest that Blanco ran a racist campaign. At the same time, isn’t it worth noting that the usual suspects, to whom unfairness rarely gives pause, haven’t so much as raised an eyebrow? But it’s time for him to become an adult in this conversation. He’s an Ivy League educated Rhodes Scholar with a degree in Biology. His pandering on creationism is cowardly and intellectually, morally, and ethically dishonest. And I get the impression that he knows it: In his interview with NBC, it was revealing that he attempted to turn the question about creationism in the classroom to the rights of private schools. The LSEA embarrasses Bobby Jindal; it tarnishes his image; it forces him completely off-message. He’s the guy who dared to tell his fellow Republicans to stop being the stupid party, and his own party in Louisiana, the one he, ostensibly, leads, keeps sticking him with stupid. For some reason, perhaps it’s because he’s still young and ambitious and intimidated, Bobby Jindal feels more at ease with lecturing the national Republican Party about their stupidity than confronting people like Gene Mills of the Louisiana Family Forum, who have held hostage the State of Louisiana with their conspiratorial, hateful, and religiously intolerant social agenda. After the 18,000 years had elapsed, Pangu was laid to rest. His breath became the wind, mist and clouds; his voice the thunder; left eye the sun and right eye the moon; his head became the mountains and extremes of the world; his blood formed rivers; his muscles the fertile lands; his facial hair, the stars and milky way; his fur the bushes and forests; his bones the valuable minerals; his bone marrows sacred diamonds; his sweat fell as rain; and the fleas on his fur carried by the wind became the fish and animals throughout the land. Nüwa the Goddess then used the mud of the water bed to form the shape of humans. These humans were very smart since they were individually crafted. Nüwa then became bored of individually making every human so she started putting a rope in the water bed and letting the drops of mud that fell from it become new humans. These small drops became new humans, not as smart as the first. Of course, this is all absurd and silly, and even at the time, the Chinese knew it was just a myth: A cosmic egg that gestated for 18,000 years and then became the entire universe? It’s just as scientifically valid as New Earth Creationism and Intelligent Design. Numbers, statistics, still BS. Jindal is nothing more than a fast-talking flim-flam man. Louisiana as paradise under the governance of BJ. Would you buy a used car from this man?